Pavones Eco-tours and Volunteer Placement has a history in conservation research and non-profit work. Katie Mann, the founder, came to Pavones in 2005 in order to carry out her Master's research in Primate Conservation. She carried out a study to assess the need for proactive monkey conservation efforts in the area. She conducted primate and tree surveys for a three month period, and concluded that proactive conservation efforts were indeed necessary. You can download the complete thesis below. This Katie Mann's full Master's thesis, which was carried out on the Burica Peninsula of Pavones, Costa Rica in 2005. 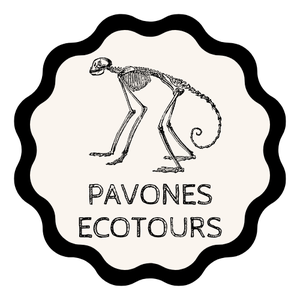 Katie is the founder of Pavones Ecotours. In 2006 Katie presented her thesis findings at the annual Society of Conservation Biology conference where she also attended a workshop on catlayzing community conservation projects held by Dr. Robert Horwich, who is the founder of the US based non-profit organization Community Conservation. At that time they decided to work together to start up Amigos de los Monos, Katie's initiative to conserve and protect the monkey populations surrounding Pavones. With funding from the foundations Primate Conservation Inc. and the Margot Marsh Biodiversity Foundation, Katie moved to Pavones in 2007 and lived and worked there for two years trying to establish her conservation initiatives, primarily with the Ngabe popultion in the Conte Burica Indigenous Territory. The work consisted of socioeconomic interviews with the Ngabe population, monitoring of the monkey populations, the development of environmental education materials, and mobilization of the community for conservation. The complete report of those two years of work can be downloaded below. This is the final grant report after two years of trying to catalyze a community conservation initiative. Katie's work came to an abrubt halt for a number of reasons, primarily motherhood.